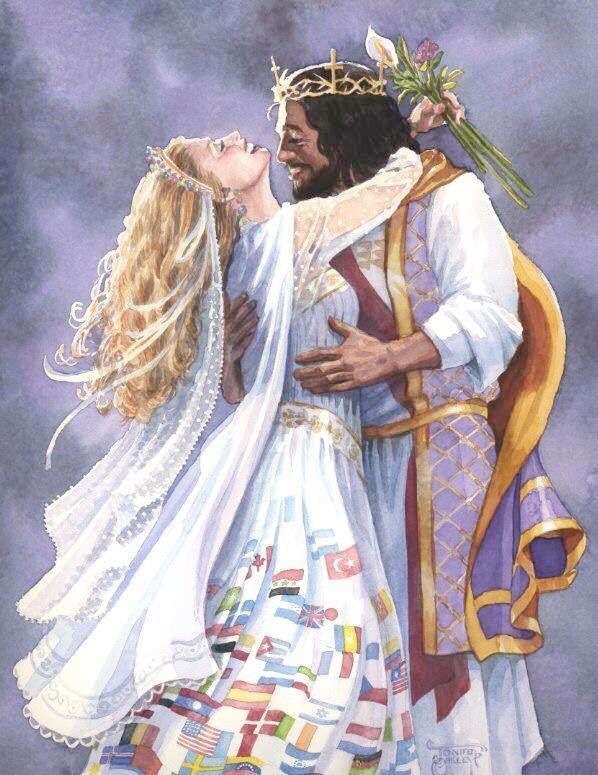 What a beautiful illustration of the Bridegroom with His bride! A husband is to love his wife as Jesus loves the church His bride. His love in demonstration involved sacrificing His very life as a Man. A husband must sacrifice his will and desires that conflict with God’s will. A husband who embraces and obeys God’s will sees his wife beyond her flaws. He sees her as being who God says she is by faith (Ephesians 5:25-30). By faith, he will speak God’s Word over her and cherish her as his blessed partner in life. He will submit his will out of reverence to Christ, longing to bring out of her the best. A husband who follows Jesus’ example is concerned with her edification instead of self-gratification. In a godly marriage, their love is a dance of delight and continual yearning for one another– a yearning to love, to learn, to sharpen, to grow, to bring God the glory. A wife is to trust that where her husband leads her in their dance of love, like Jesus she must trust that God is in control (Eph. 5:22-23). By surrendering her need for control over the outcome of her husband’s leadership, she can relax her grip, throw her head back and smile at the future because Jesus is King of kings (Proverbs 31:25). The dance of love in a godly marriage is a beautiful choreography that glorifies God–full of reliance on the Lord, honor, grace, joy, humility, believing the best in one another (1 Cor. 13:7), patience, compassion, gentleness, kindness, strength to endure trials together with prayer and so much more. Cassandra’s Marriage Mints. All rights reserved. ©2017 June.